If you’re going to a meeting or on a weekend getaway, you can speedily reach your destinations on board the private Piper PA31 Navajo Chieftain. 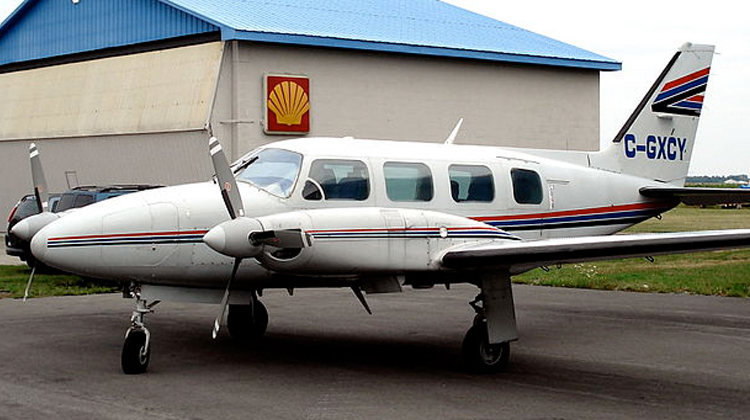 This 7 seat aircraft has comfy seats and the agility to reach even smaller airports. It has Short Take Off and Landing (STOL) capacities, so you can fly to or from shorter strips. As a standard feature, this jet has WiFi so you can stay connected with your friends, loved ones and professional networks throughout a 1-hour trip. The Piper PA31 Navajo Chieftain’s luggage capacity is even sufficient for you to bring your presentation materials with you for a meeting. If you’re traveling for leisure, the same compartment can also store the essentials you’ll need during the getaway. Know more about the specifications of this aircraft and schedule for your very own private charter today. The Piper PA31 Navajo Chieftain has wide windows so passengers can enjoy the sceneries which the plane will be flying over. Whether you’re en route to a meeting or a vacation, you can get mesmerized by mountains, landscapes and bodies of water which you’ll fly by. The plane’s passenger seats can be reclined, plus pull out tables may be used for snacks or as platform for laptops. Overall, the Piper PA31 Navajo Chieftain’s interior has a comfortable feel to it compared to most rugged types of small aircraft. To fully enjoy your flight, it would also be best to inquire about the Piper PA31 Navajo Chieftain’s interior details with your operator. You won’t miss out on lush greens of the mountains, tranquil waves of beaches or quaint landscapes of cities when you hop on the Piper PA31 Navajo Chieftain. This aircraft lets you marvel at the skies’ horizons due to its steady paces of speed. If you’re coming from Toronto, Canada this plane lets you reach as far as St. John’s in Newfoundland and Labrador, or Wyoming in the USA. Perhaps you might happen to max out the allowable range of this plane. In this case, it would be practical to ask about its allowable passenger and luggage load from the operator. This way, they may jot down the best route and schedule combinations to prepare your flight plan. Keep in mind, a much lighter aircraft can fly you to farther destinations at the fastest paces possible. 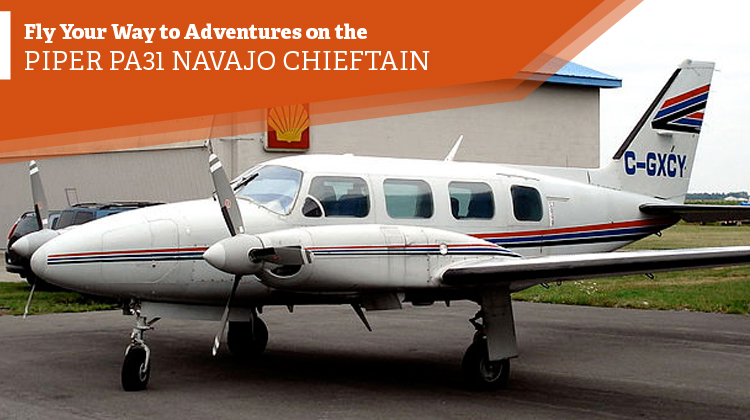 Manufactured by Piper Aircraft, Inc. the Piper PA31 Navajo Chieftain experienced its first flight in 1964. Since then and up until today, over 3,900 of its units are being flown all over the world. It has roughly 14 variants and sub-developments, where its components were modified to fit their corresponding applications. Some of its operators come from the Bahamas, France, Sweden and Dominican Republic.